« Why do Shanghai Disneyland Guests go Poo Poo in Public Areas? I’ve played dozens of escape rooms at this point, but wanted to give Theme Park University readers an inside scoop to a game that made my top three favorites. 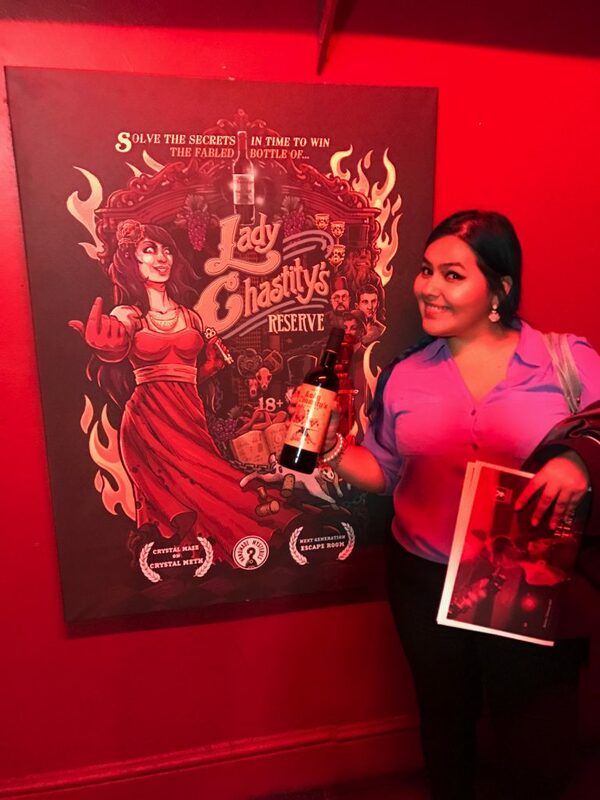 On a recent trip to London, I hopped over to The Four Thieves Pub to try out a fantastic escape room: Lady Chastity’s Reserve. 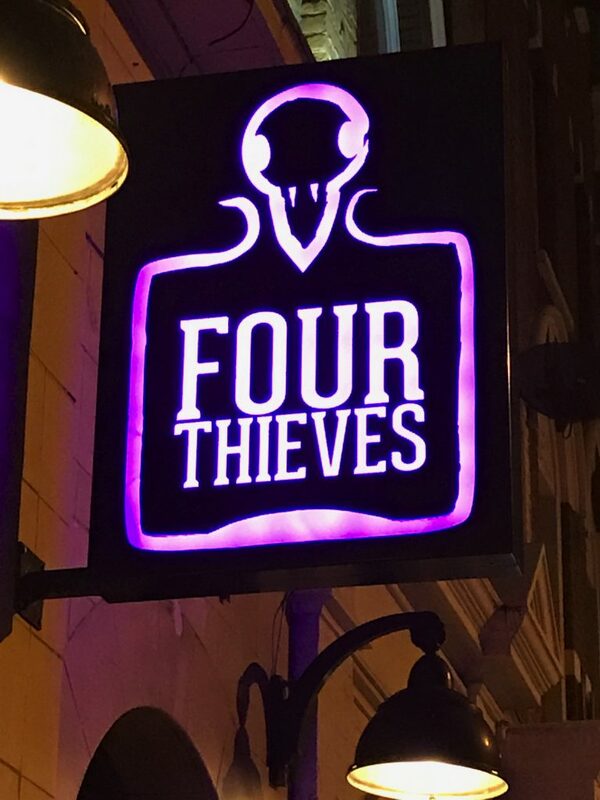 Walking into the Four Thieves, you have no idea there was an escape room on the premises. Downstairs features a small micro brewery and bar while the upstairs contains a game room. You need to book Lady Chastity’s Reserve in advance through their website. This means that most of the people in the bar have no idea you’re playing an escape room while they’re downing pints of Guinness. What I think I loved most about this game was our host Gabriel. 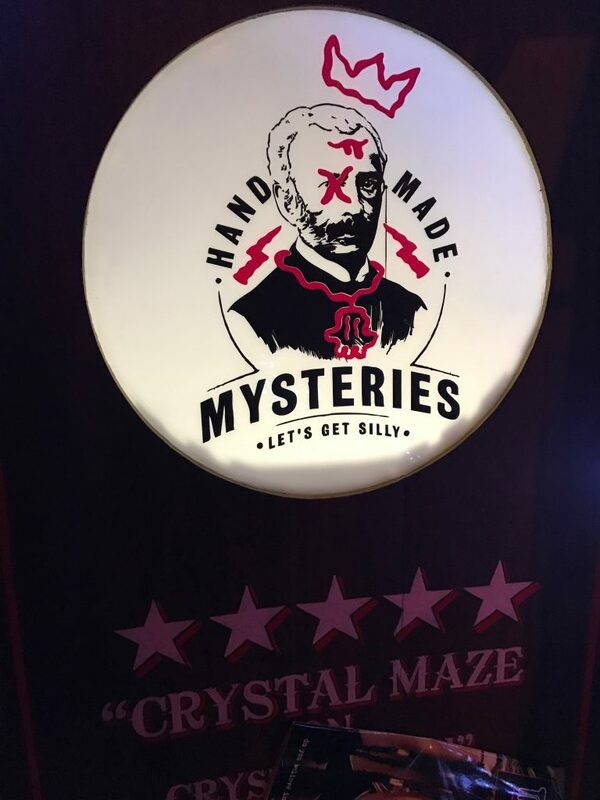 A live actor in an escape room can often be distracting and even a handicap to the game itself. In this case, she gave us the rules of the game and the back story of our quest and that’s it. Our only other interaction was if we needed a clue, we would call out her name and she would visit us in (while remaining in character) to give us a boost. 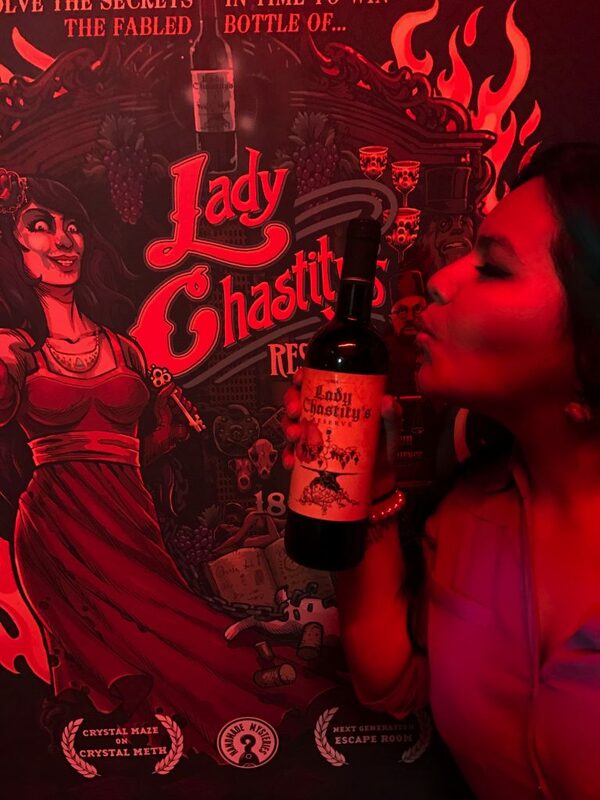 As the story goes, Lady Chastity was famous for making a love potion, an elixir if you will. She was the head mistress at a (as my Grandmother would say it) “house of ill repute.” As luck would have it, this brothel burned to the ground and there was only one bottle left that survived the flames. The ghost of Lady Chastity guards this bottle and it’s your job to pry it from her cold dead hands. The theming of Lady Chastity’s Reserve was one of my favorite I’ve played anywhere. Readers of Theme Park University who have visited Sleep No More will feel right at home with the 1920s antiques and soundtrack. The puzzles were clever and well thought out. My only complaint (and it’s nit-picky) is you must listen in this game to everything around you. Too much talking and you will find yourself distracted. That said, we won the bottle of wine. You can too by clicking this link! 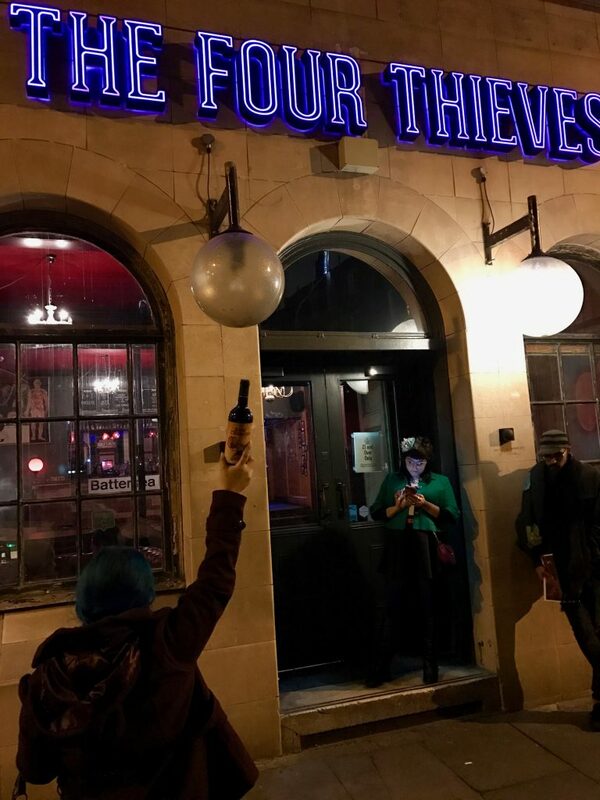 This entry was posted in Outside The Parks and tagged escape room, Four Thieves Pub, free wine, Lady Chastity, London. Bookmark the permalink. Trackbacks are closed, but you can post a comment.